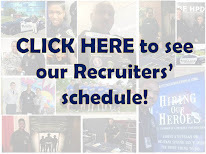 Houston Police Department: Class 210 Update - Cadet Smith...I mean OFFICER Smith! 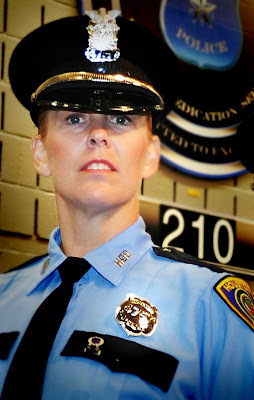 Class 210 Update - Cadet Smith...I mean OFFICER Smith! I finally graduated from the academy last week. It was a long 6 months that I never thought would end. I’ve had four days on the streets at North Division and I absolutely love it! My Field Training Instructor is the best. We have volunteered for a variety of calls requiring assistance from Homicide, Robbery, Burglary and Theft, Narcotics to the District Attorney’s office. I’ve written numerous traffic citations, accident reports, incident reports as well as utilizing many other forms. I feel like I’ve used everything I learned in the academy in the first 4 days on the street. 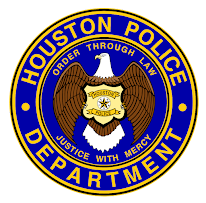 I’m learning my beat and district, getting to know my fellow officers, dispatchers and best of all; I’m able to help the citizens of Houston. My whole reason for joining HPD was to help people who couldn’t help themselves or just needed some direction or assistance. Since last Wednesday a week ago, I’ve gone to work every morning eager to get started and I leave with a big smile on face. I’ve wanted this career for a long time and I couldn’t be happier that I have been given that opportunity now. I don’t know if I would feel the same had I started this when I was 21, but being 40 and having all the life experiences that I’ve had I’m thrilled to be where I’m at now. In the academy they warn you that this job may not be for everyone. There are many ups and downs, bad times and good. I’ve seen an array of those already, from the grieving family due to the loss of a loved one to the scared siblings who were thrilled to see several officers at their door during a home invasion. The academy trains you to stay focused, professional, and to get the job done right and at the end when it’s all over you can take a breath. That’s exactly how it’s been. I can not thank the staff at the academy enough for the dedication they have given us in the last six months. Everything they did and said had a purpose and that is to keep me and my classmates safe out there and to make sure we all go home at the end of the day. From the bottom of my heart I would like to personally thank the following trainers: Captain Ready for all your encouragement during Redman and throughout the academy, Lt. Coker for always putting the fear in us to make us do better, Sergeant Spangle for being blunt and to the point, Officer Lyall for bringing humor into the classroom,. Officer Uphoff for all of our conversations regarding family and the job, Officer E Wolfe for getting me around that RED track (I can’t believe I love running now), Officer Hinojosa for all the Spanish handouts and reviews (I used it on day 2 and did pretty well), Officer Cromwell for not freaking out when I obliterated all the cones on day 1 (rock n roll), Officers Murphy, Boskey and Walsh for making firearms my favorite skill, and lastly, but definitely not least, my classmates of Class 210- you all ROCK! Be safe and I look forward to seeing each of you in a few months!!! Thank you. As a 42 year-old candidate, you are an inspiration. Thank you for speaking to us at Open House.